3. Be killed if they refuse to comply with the first two rules. Think of the headline. Think of your first reaction. Think of those who simply hate the Catholic Church because of the scandals and abuses… and how outraged they would be. Think of what the AMERICAN GOVERNMENT would do if such an edict was made. Any government, really. Now understand this is PRECISELY what happened in Mosul. Only it was ISIS, a group that is determined to bring back in Sharia Law and establish a new Caliphate, that was saying this to Christians. All Christians had to leave or be taxed. Then, ISIS decided they just need to leave or be killed. The MOSQUE (not church) that was near the traditional site of the prophet Jonah’s tomb was blown up. They did not want any memory of Jonah. Again, as I stated before, I don’t expect anything from any government in the form of outrage. I don’t expect any action. But we need to understand what is going on to Christians in the Middle East and know that sometimes we need to be shocked into awareness. I am not asking people to hate Muslims. And for those who are simply outraged to say, “Why don’t Muslims say anything about this?” the answer is, quite simply: THEY DO. I have great Muslim friends and leaders in the Twin Cities who are outraged. They are heartbroken. A Muslim professor in Iraq defended the Christians’ right to exist in Mosul and was assassinated by ISIS. Know me long enough and understand I am NOT outraged against Muslims. And I will not tolerate those who make blanket statements against all Muslims. But I do not wish to stay silent. 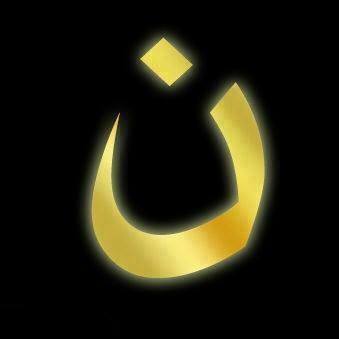 In some way I want to raise the awareness of TRUE persecution that is happening to Christians in this world. In some way it is my desire that ALL Christians come together to pray for our brothers and sisters who are in REAL trouble in other parts of the world. We can go back to our in-fighting some other day! Let us pray this day to the Lord.